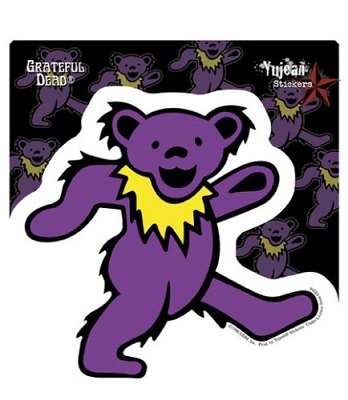 Not too big and not too small, this purple Grateful Dead Jerry Bear sticker is 3" big. Grateful Dead dancing bear stickers come in different colors. This one is in purple. Officially licensed Grateful Dead merchandise.